After working with organizations of all sizes and in a myriad of different industries we have found that one thing has always stayed constant; our values. The digital marketing agency is full of competition and the tactical services have become a commodity. While this means that most agencies compete on price, we have chosen to take a different approach and focus on those same consistent values. We have found that being open, honest and transparent makes for a better partnership and thus better results. 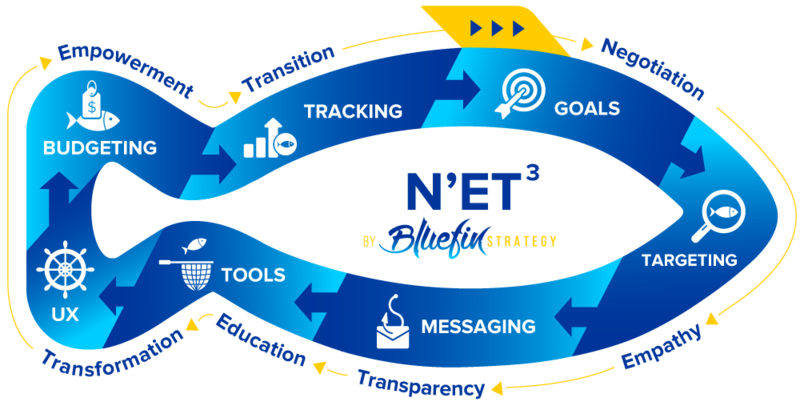 Just like we cast a ‘net’ to catch conversions for our client we wanted to put all of the values we hold true into one big NET as well. While we hold ourselves to these value we also expect the same from those we work with. We hope to be an extension of your team and knowing the values you’ll get from us hopefully ensures a strong partnership into the future! Negotiate​ : We enter every partnership with defined goals, clear vision and accountability for ourselves and our partners. Empathy : We understand that businesses have constraints on time, resources, budget and more. Knowing that, we assist clients in any way necessary to achieve your business goals. Transparency : We are dedicated to being 100% transparent on our process, the tools and the data we rely on to build strategies for our clientele. Educate : Our partners gain insight from our experience and the necessary skills to implement successful digital strategies. Empowerment​ : Our partners develop the necessary skills and knowledge that enables them to create and analyze their own strategic initiatives. Transition : When our partners require a larger agency, we assist transitioning our clients to the best partner to take them to the next level of success by asking the right questions and aiding in that transition to the best of our ability.